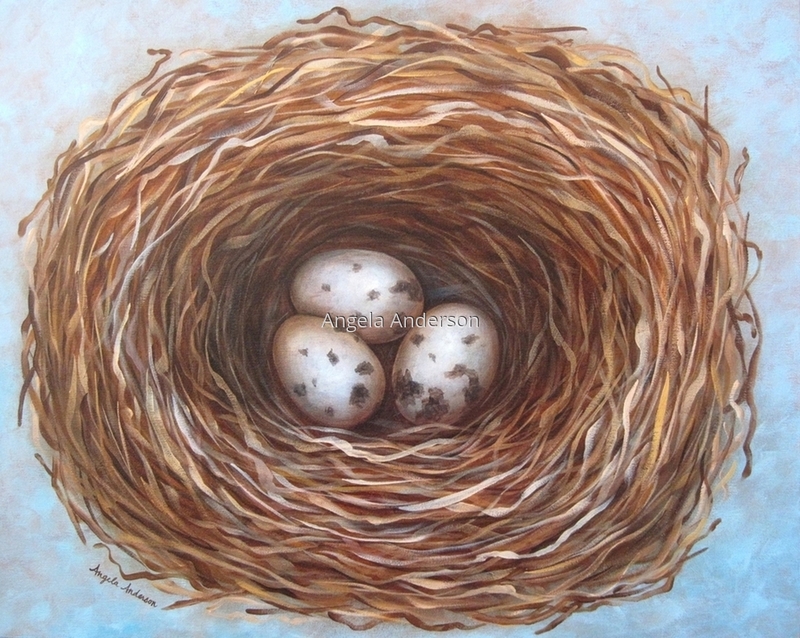 Beautiful amber nest with speckled eggs on a soft blue background. Original acrylic painting on gallery wrapped canvas. 8" x 10"11" x 13.75"14" x 17.5"17" x 21.25"20" x 25"